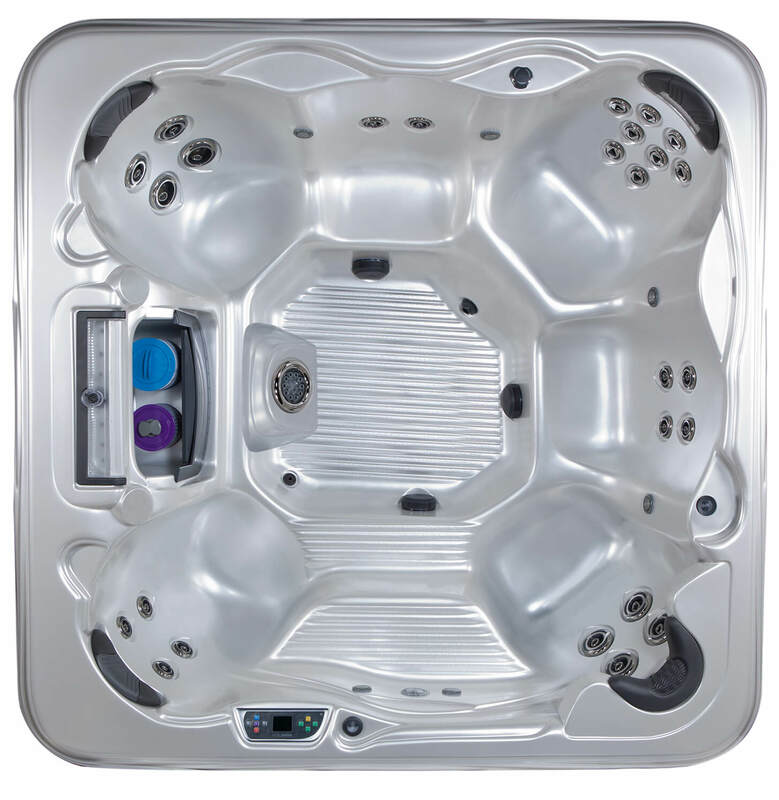 The Island Spas line features a revolutionary breakthrough in hydrotherapy jetting that makes use of the timeless concept of a helix, a curve in three-dimensional space such as that found in a spiral staircase. 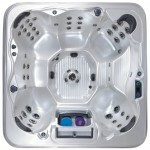 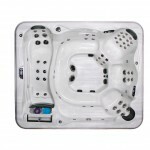 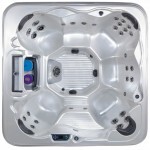 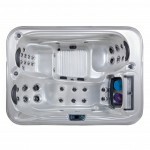 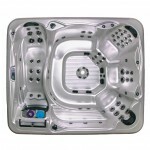 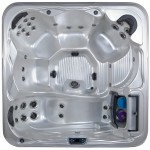 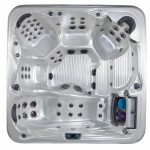 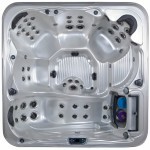 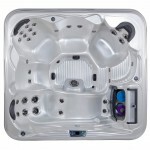 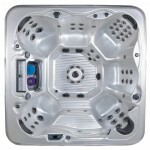 This Artesian Spas patented jet design provides a truly remarkable hydro-massage. Engineered with the concept of the double helix in mind, the jets use a right-directional spiral on the inside of the cylinder. 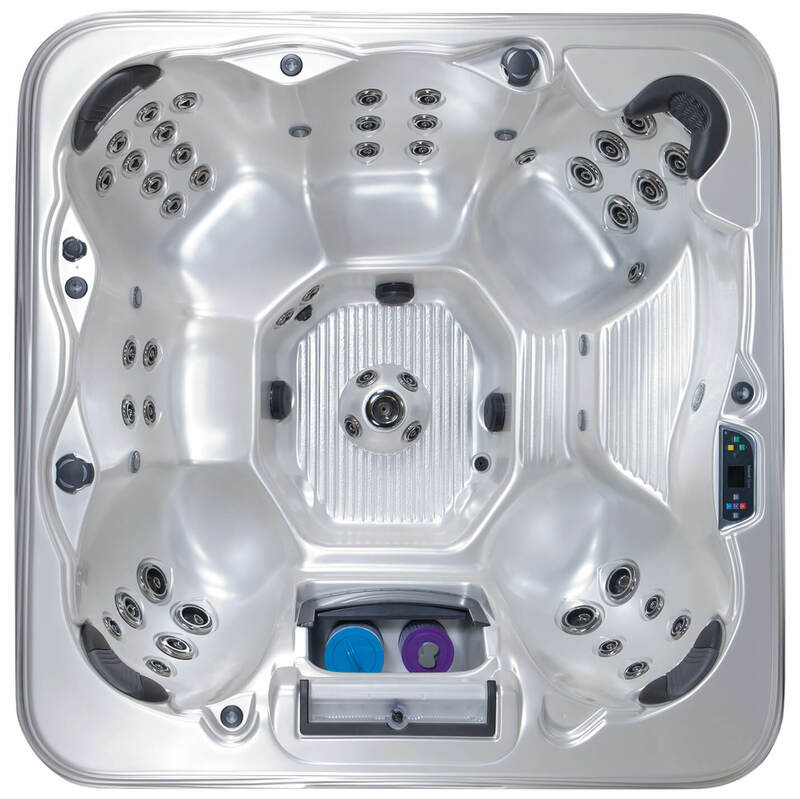 This causes water to spiral out in a twisting motion, providing jet pulsation and heightened massage pressure. 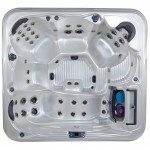 The two largest helix jets, named ProHelixTM, provide a high volume of water to massage large muscles in the body. 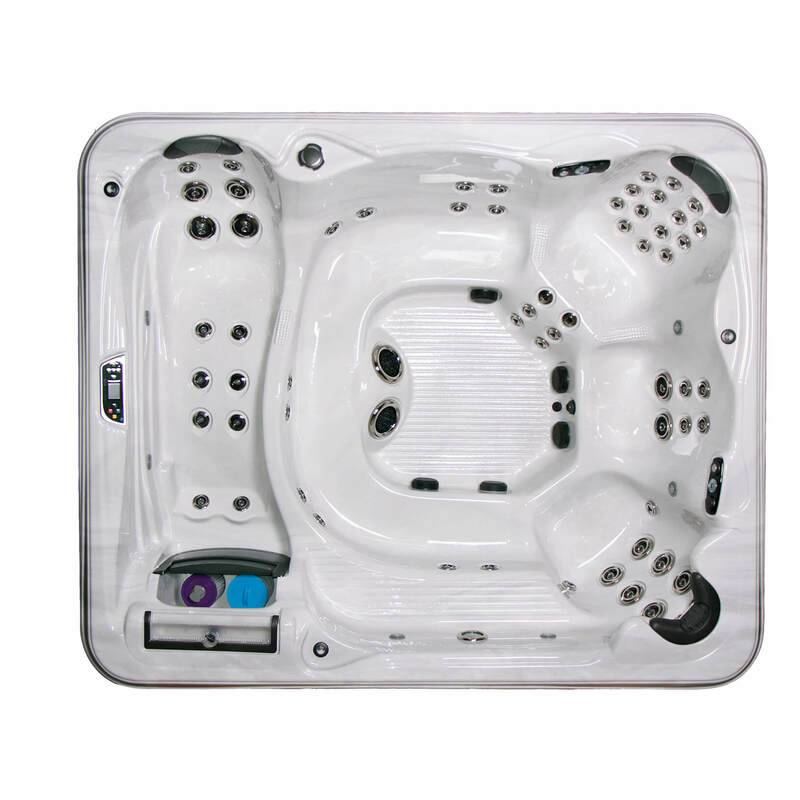 The midsize helix jet, called TheraHelixTM, is strategically placed in the spa in small groups to massage muscles such the calves, hamstrings, deltoids, biceps, and triceps. 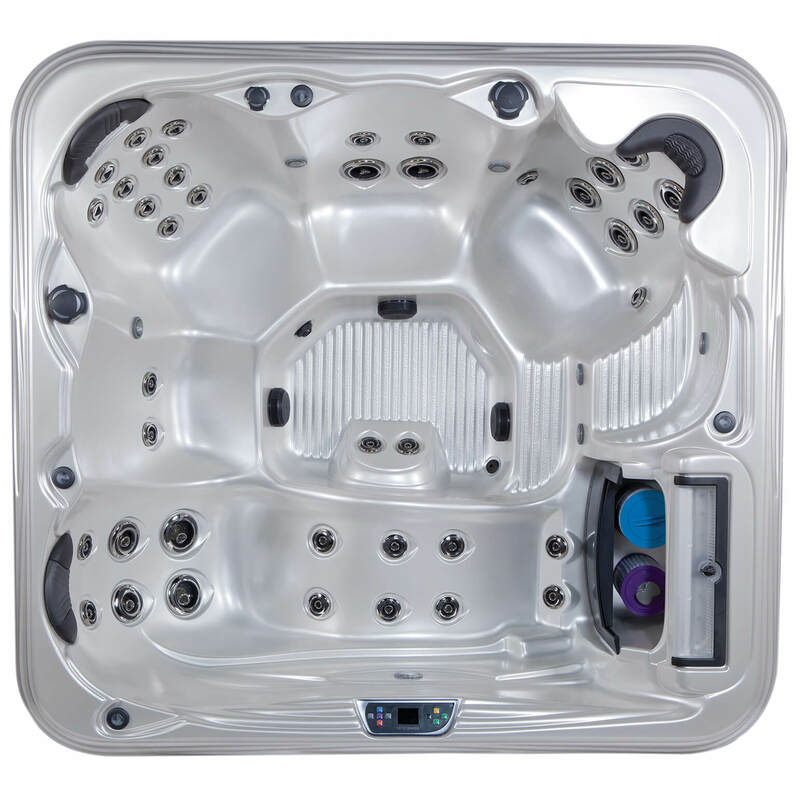 The smallest helix jet, the AccuHelixTM, is placed in large groupings to massage larger regions of the body, such as the entire back. 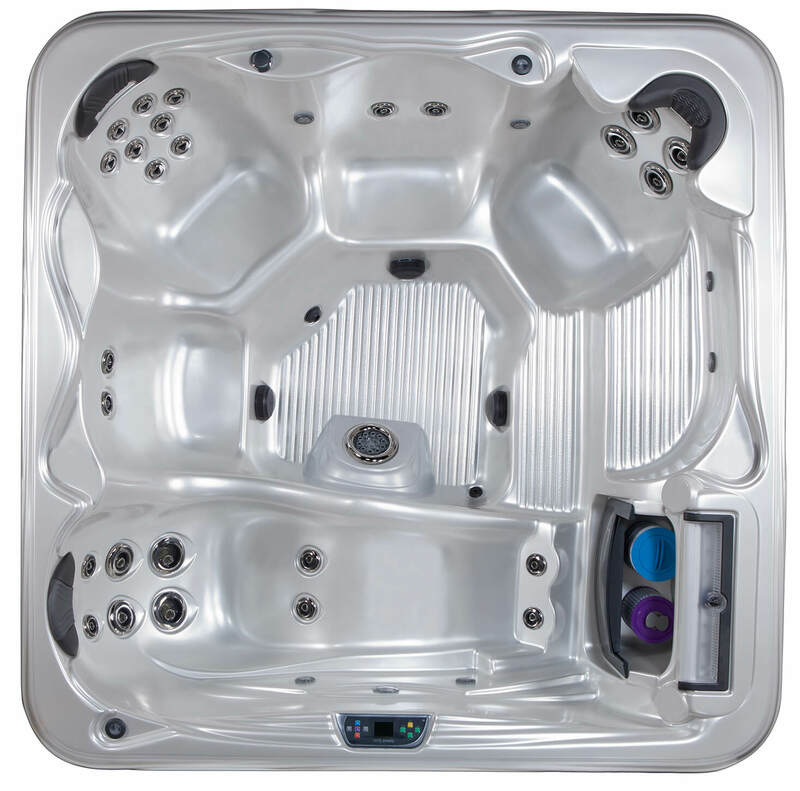 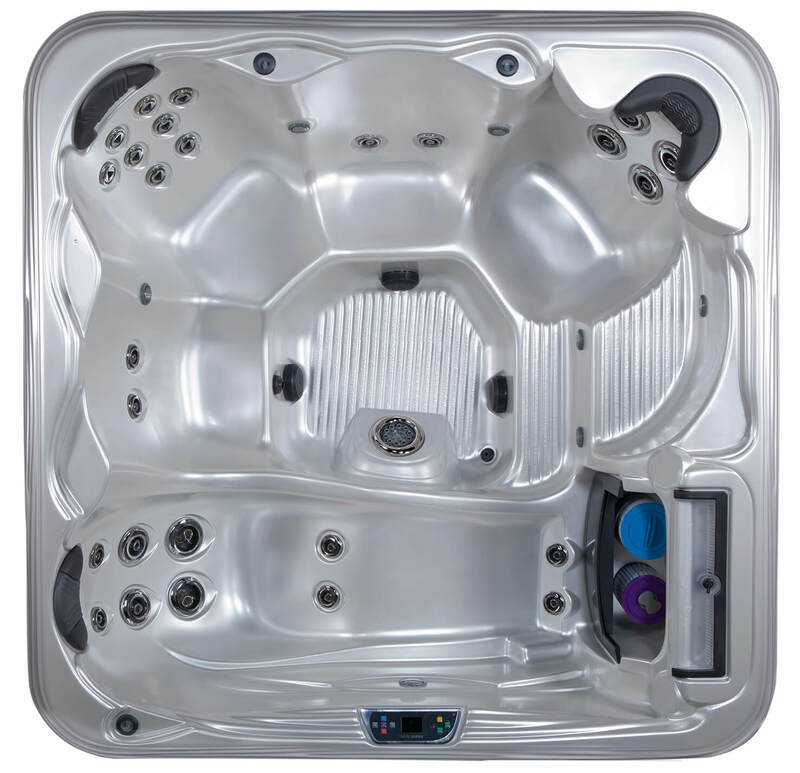 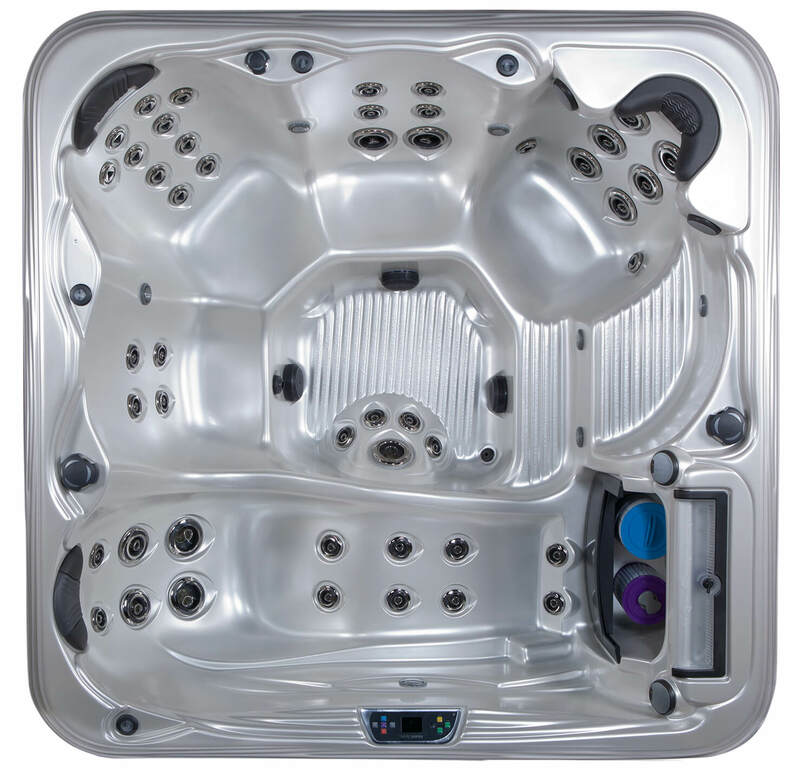 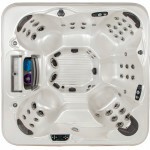 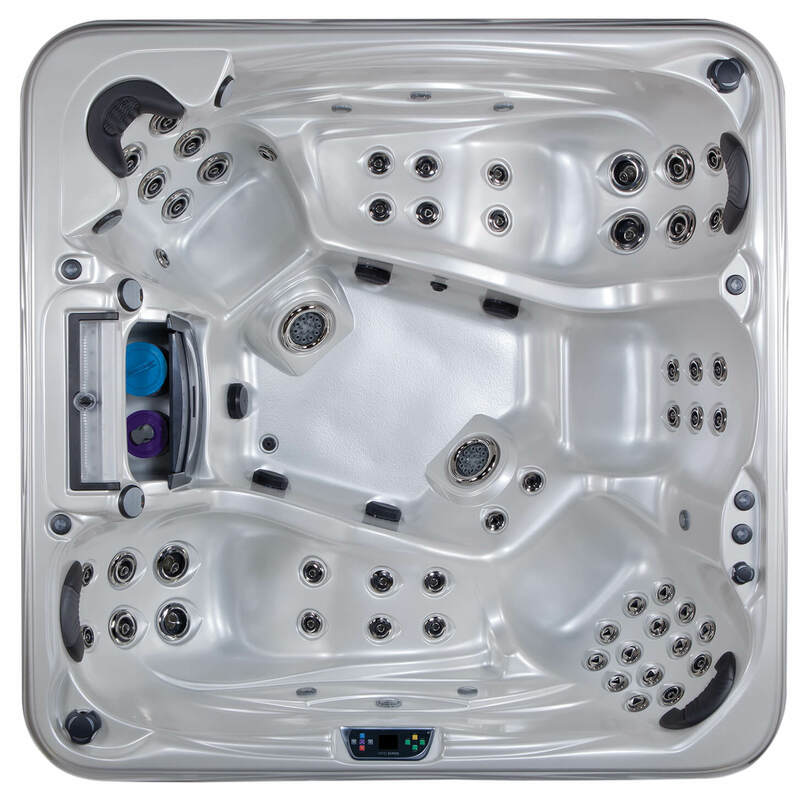 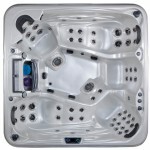 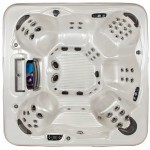 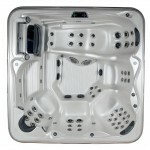 As a complete system, four to ve di erent sizes of helix jets are featured in every Island Spas model. 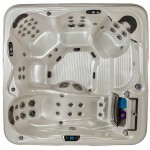 You can relax knowing that luxury and high performance does not mean increased consumption and higher costs. 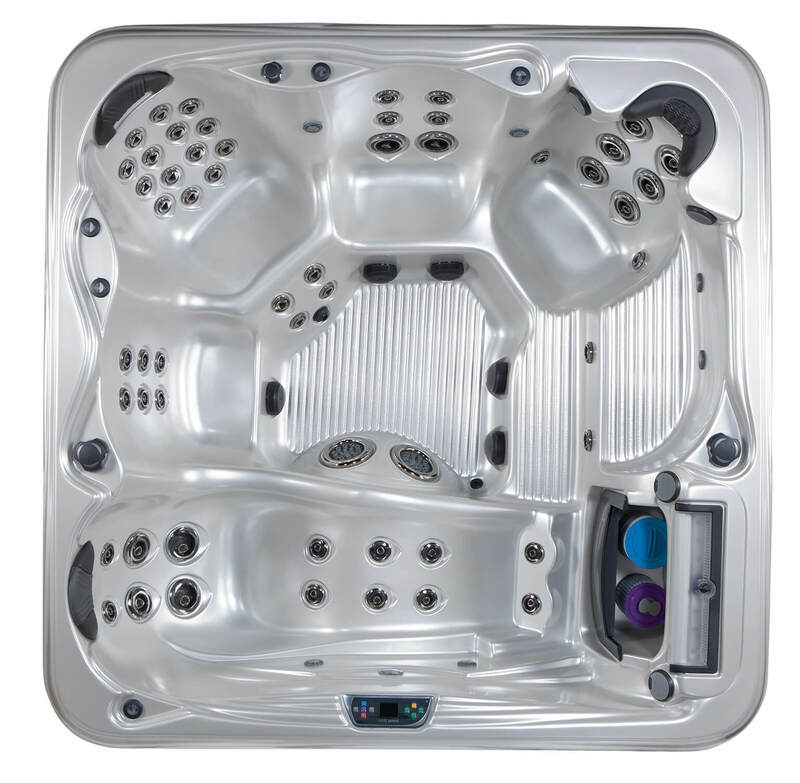 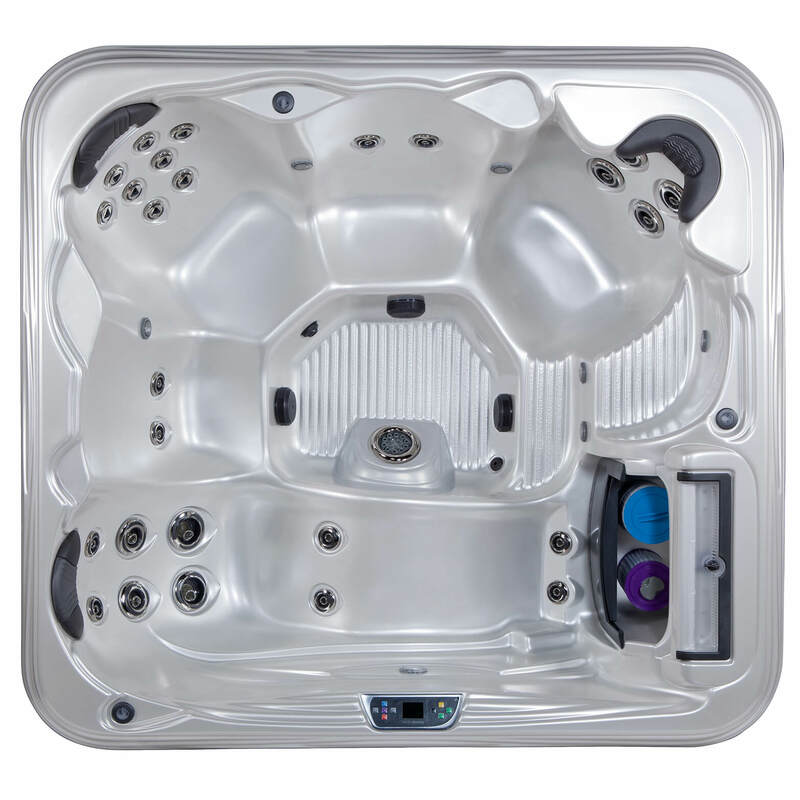 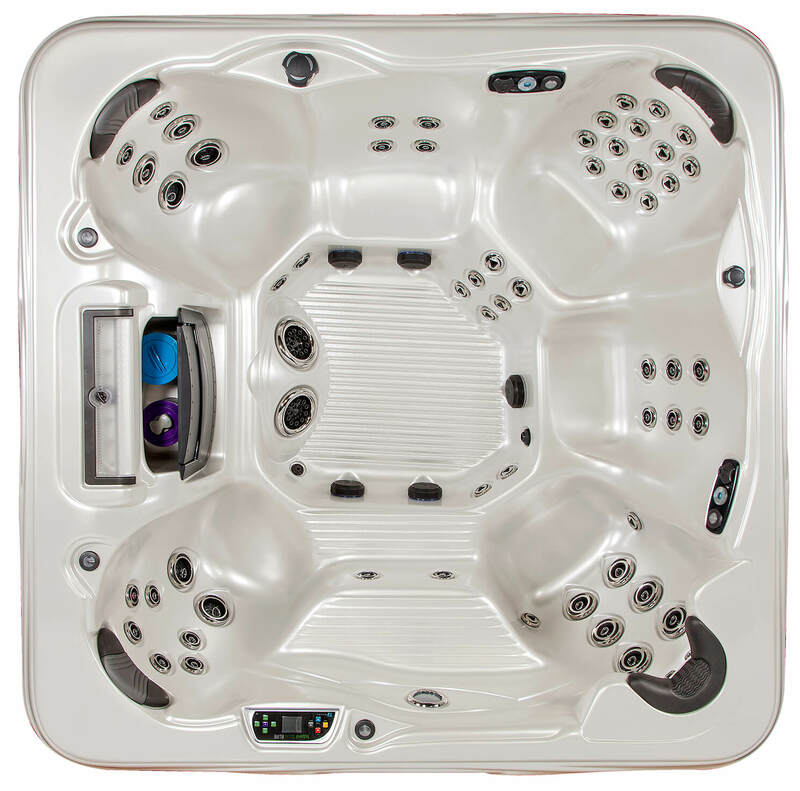 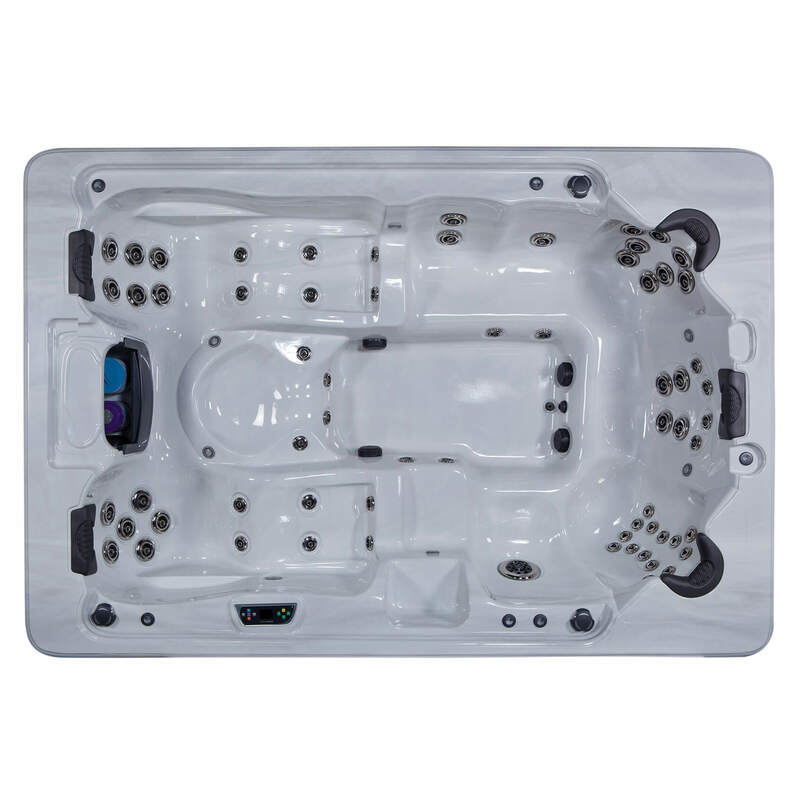 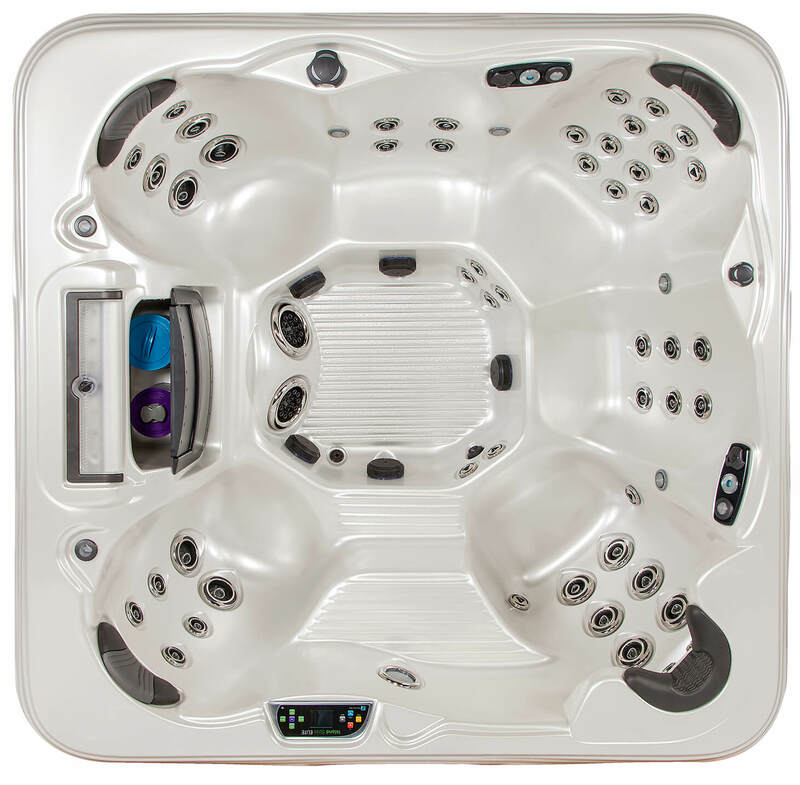 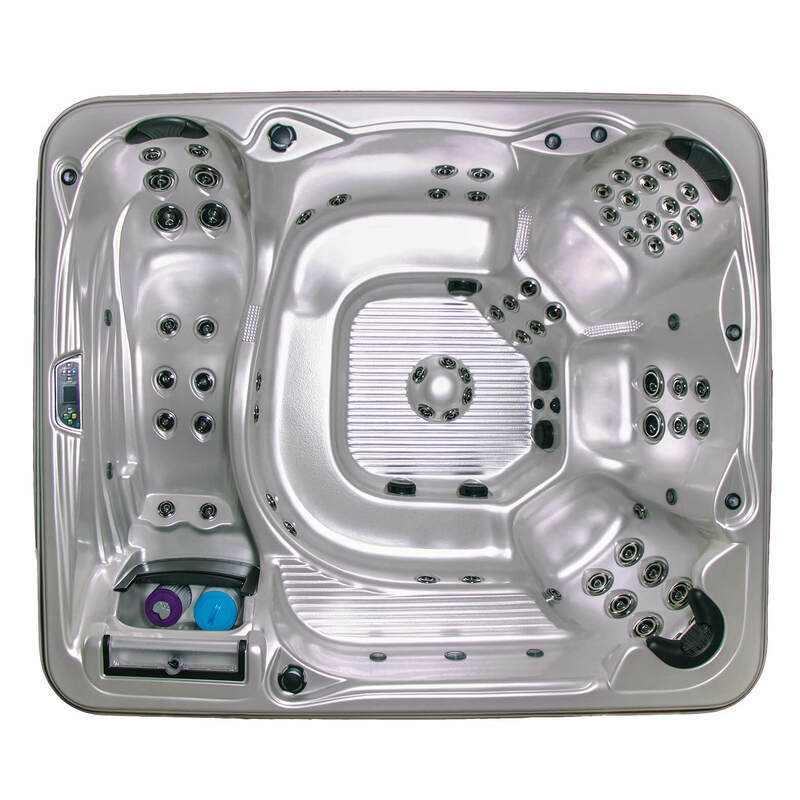 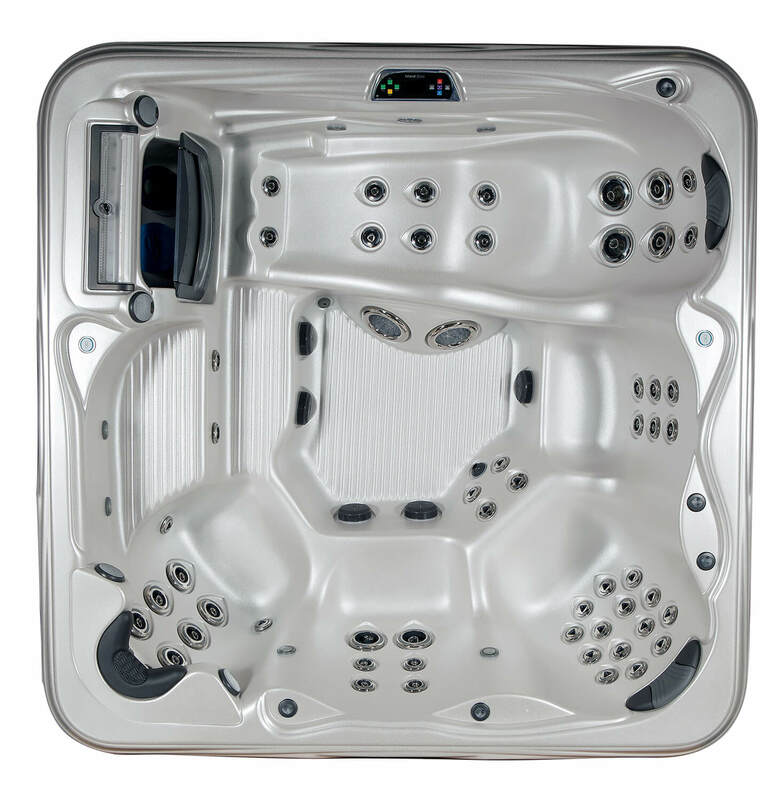 This line of spas uses an energy-e cient circulation system, along with switchless motors, that delivers high performance and reliability. 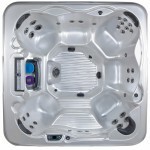 This makes Island Spas more e cient than any traditionally-built spa in the industry. 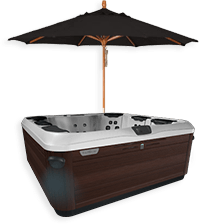 The Island Spas line provides a series of models that range from 32 jets to 72 with attractive options and features that allow your very own, one-of-a-kind, personalized retreat. 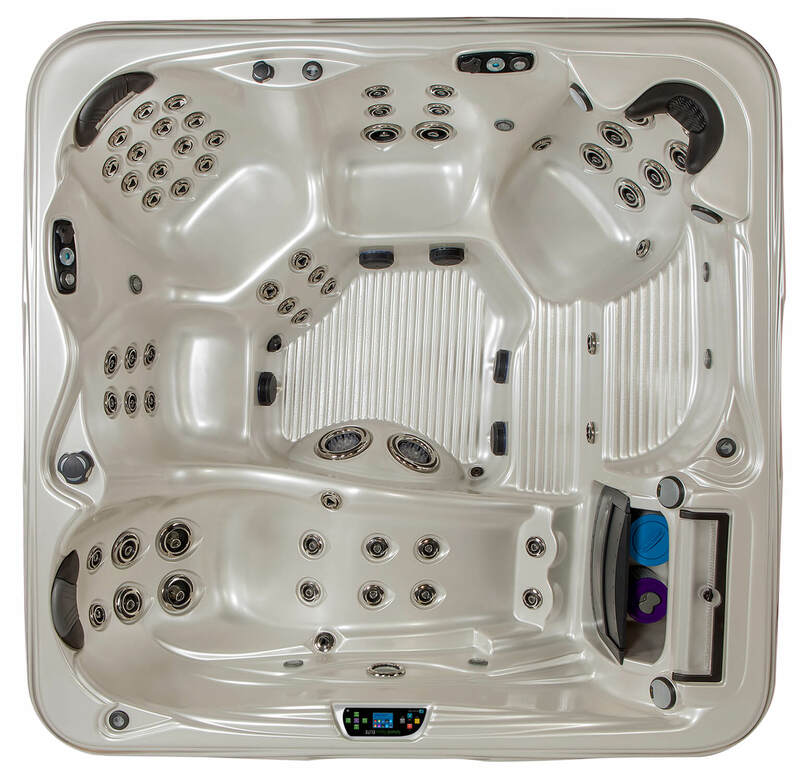 From multiple con gurations to top rated features, such as the Pillowfall, Double Footblaster, and the Tranquility Fall – your ideal island retreat is yours to create.